Brian Mahecha is a Brazilian jiu jitsu black belt under Jonatas Gurgel representing American Top Team in the sport’s international circuit. 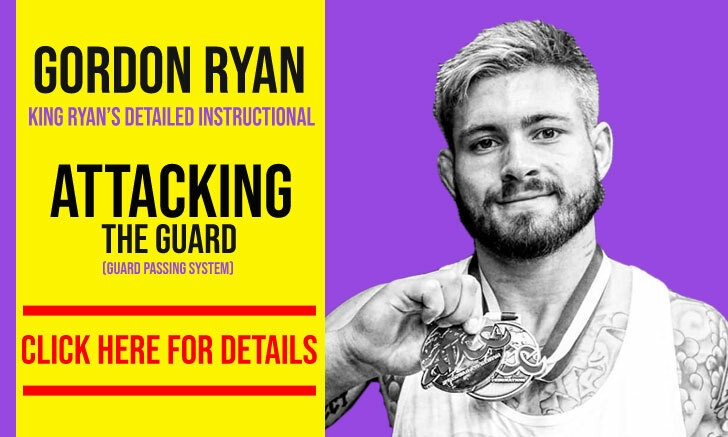 Brian is also an inspirational figure for grappling fans across the globe; a cancer survivor who overcame the disease to became one of the leading athletes in jiu jitsu’s featherweight division, while also being an important “standard-bearer” for his generation’s grappling style, together with his twin brother Kevin Mahecha. Brian Mahecha and his twin brother Kevin were born on October 3rd, 1988 in Manhattan – New York, USA. Throughout their formative years, both Brian and his brother always felt a strong bond with martial arts, a bond that ultimately drove them to a kung fu and kickboxing club at the age of 15. Over the next couple of years the Mahecha brothers emphasised on Kickboxing, beginning a successful career in the sport as junior competitors. One of their biggest achievement being a second placement at the IFK World Championship in 2008 (Brian under international rules – similar to K-1; Kevin under muay thai rules). In 2005, while competing in an important kickboxing event, Brian’s shoulder started bothering him by popping out and popping back in the socket. This problem aggravated when Brian tried to rehabilitate by himself, through basic rotational exercises, to a point where Brian began losing range of motion. Brian visited many doctors and did a few MRI’s but no one could understand the issue. In the process of trying to find help, Brian met Dr. Thomas H. Temple who at the time was a professor and doctor at the University of Miami Hospital. Doctor Temple discovered Mahecha had a Soft Cell Tissue Sarcoma in his left shoulder on May 1st 2006 – Brian was 17 years old. Grappling appeared gradually in the Mahecha’s lives. The brothers first started playing with ground work through coach Jarett. The 3 (Brian, Kevin and Jarett) would watch Bas Rutten DVD’s and try to apply the techniques on each other. That curiosity led the Mahecha’s to the American Top Team academy on November 2007, where they were taught by the illustrious Ricardo Libório. The initial contact with Libório helped cement the brothers interest for jiu jitsu. Another source of inspiration for the Mahechas was coach Emyr “Shark” Bussade who also led many of Brian and Kevin’s early grappling classes. On July of 2008, Kevin and Brian were awarded their blue belts by Master Ricardo Libório. This would be the moment in which both brothers chose to make the decisive switch and commit 100% to Brazilian jiu jitsu, leaving their kickboxing days behind. Early in 2009 coach Bussade took over Mahecha’s tuition, after opening his own American Top Team affiliate in Wellington (awarding their purple belts on December that year). It was at ATT Wellington that the two brothers would start their coaching careers, developing a style of teaching heavily influenced by Emyr Bussade. In 2012 Brian and Kevin tightened their bond with another prestigious ATT coach, Jonatas “Tagarela” Gurgel in Coconut Creek and Aventura. 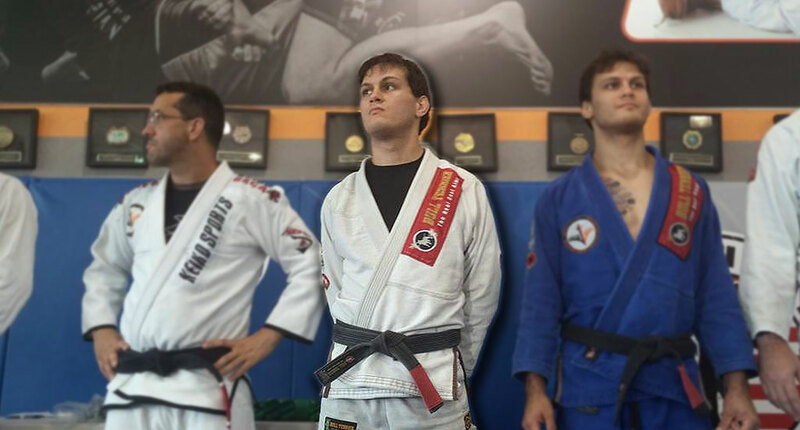 While training and teaching jiu jitsu relentlessly, Brian also kept a job as a middle school teacher, he would eventually drop the position as a public school teacher to become a full time coach at ATT Aventura. On June 11th, 2014 the two brothers were promoted to black belts by Jonatas Gurgel.